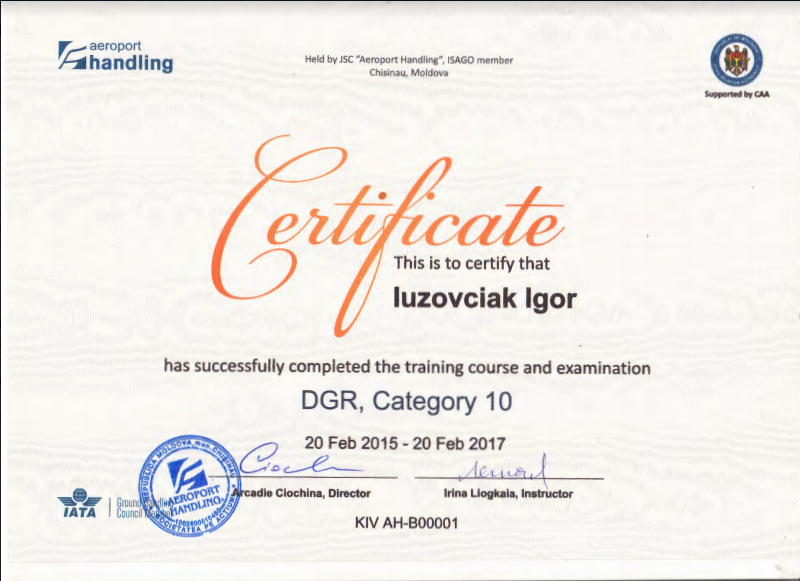 “Aeroport Handling” training programs are meeting the IATA requirements and are designed in accordance with ISAGO standards, in consideration with EASA standards. The training programs are developed for perfection and support of quality level of provided handling services with the help of our trainers. The trainers are both subject specialists and experienced practitioners, who successfully completed the education in the training centers of European leading air companies and IATA. If needed, the foreign tutors can be invited just to provide trainings according to our training programs. Also, the programs can be extended, combined or provided as an intensive training. Preplanning is usually applied for internal trainings, but we are ready to provide the trainings out of schedule by your request. Duration of the training depends on the number of the topics which are included in the course. By the end of the course the participants can obtain the certificate of attendance or compliance to the training in case of successful passage the test. We are ready to start tomorrow! Just please inform us about preferred trainings and the estimated dates of their completion.